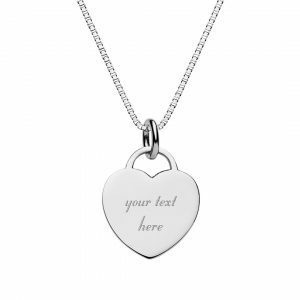 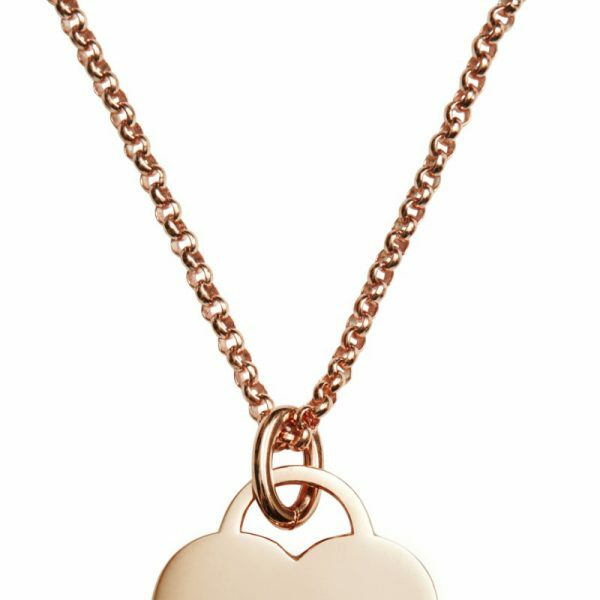 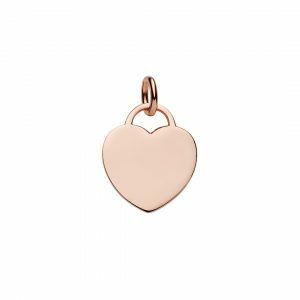 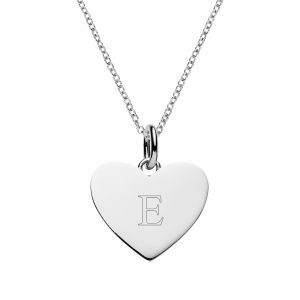 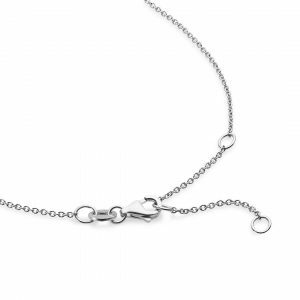 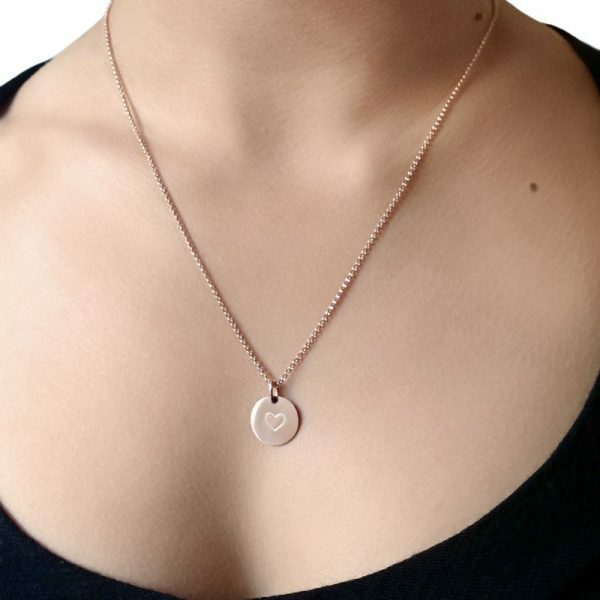 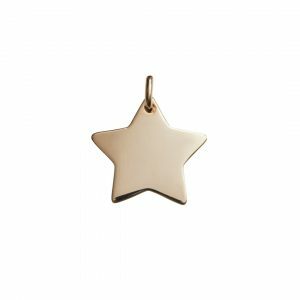 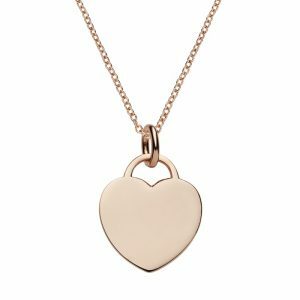 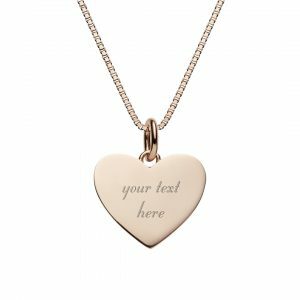 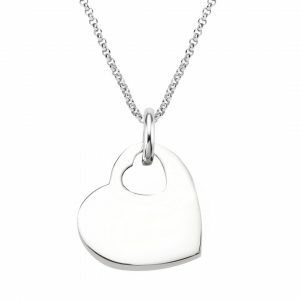 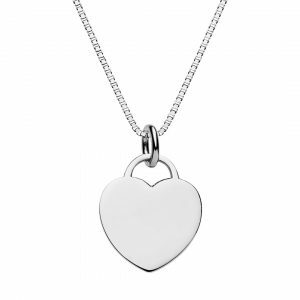 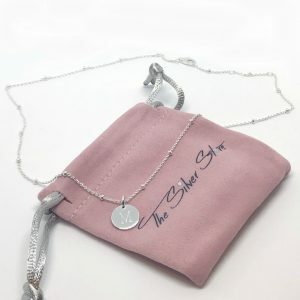 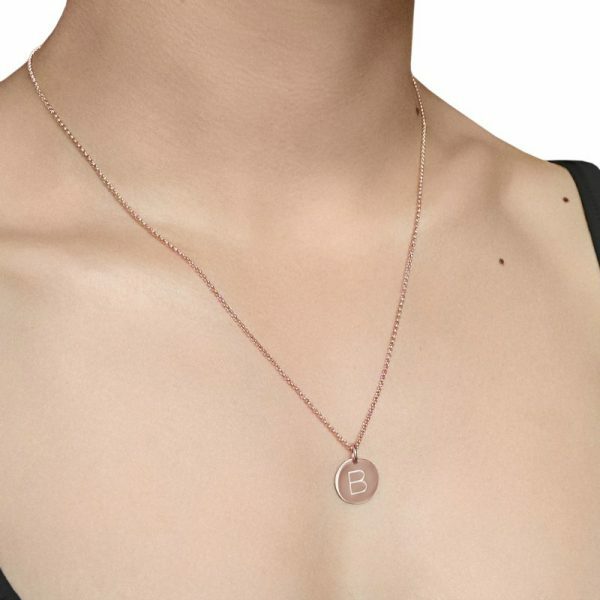 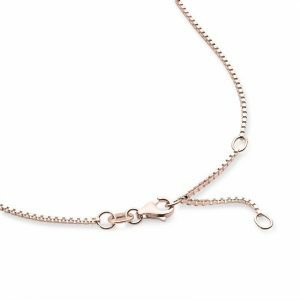 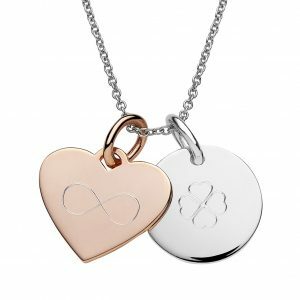 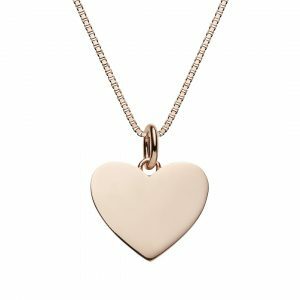 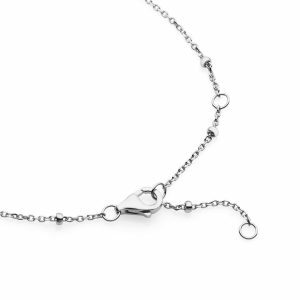 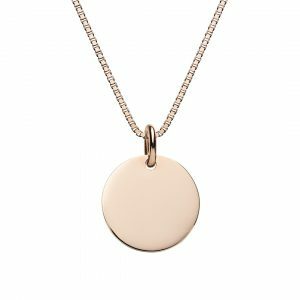 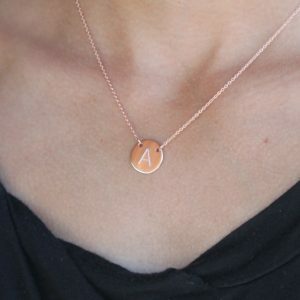 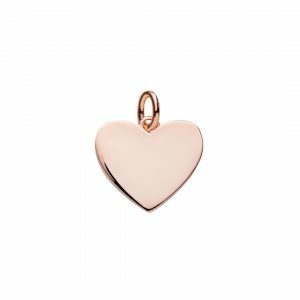 Sterling silver rolo link chain is plated with rose gold & features a ring clasp and can be worn at 3 different lengths so your engraved pendant will always be on show. 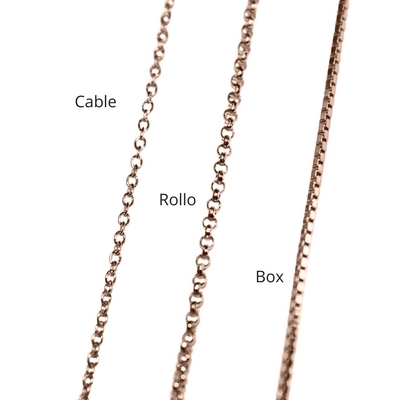 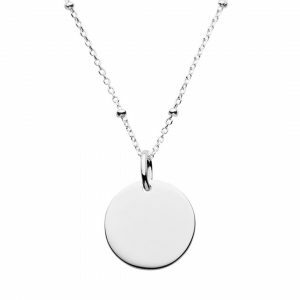 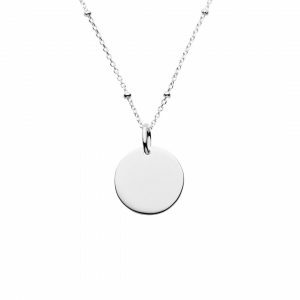 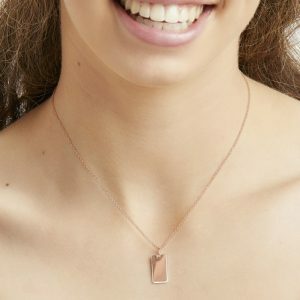 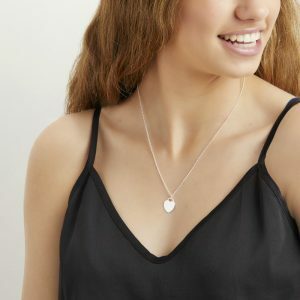 Longer than our cable and box chains so your pendant can be worn over a sweater and sits below the collarbone. 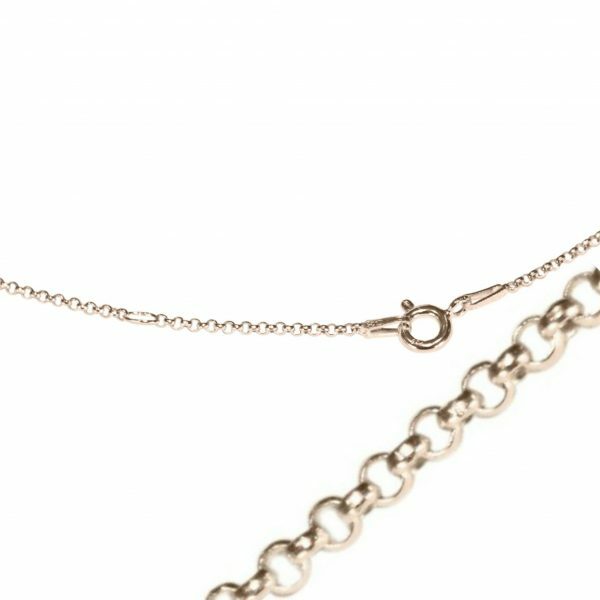 Sterling silver rolo link chain plated with rose gold with ring clasp. 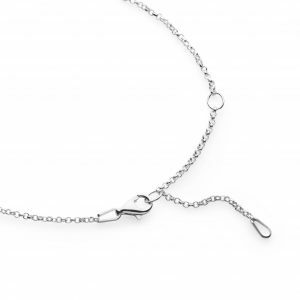 Necklace Length 50cm , variable length from 44 – 50cm. 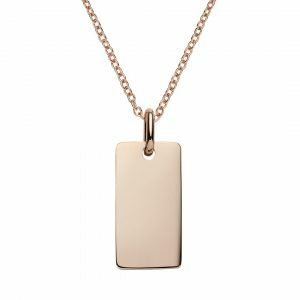 Material: 925 Sterling silver plated with rose gold. 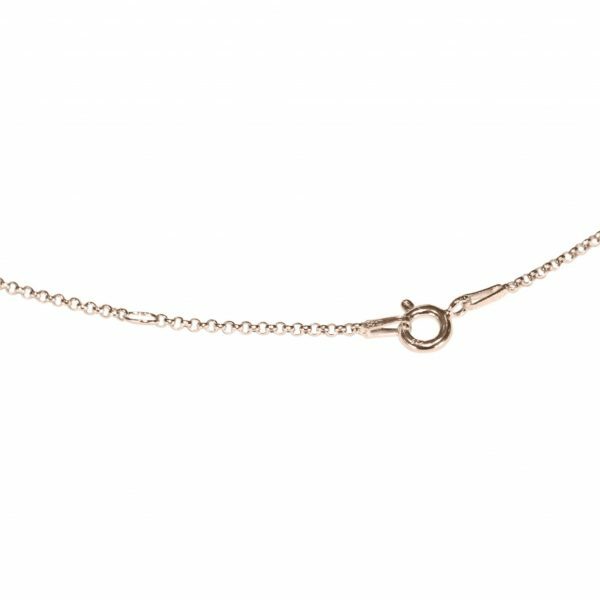 See our necklace length & link guide for more information.